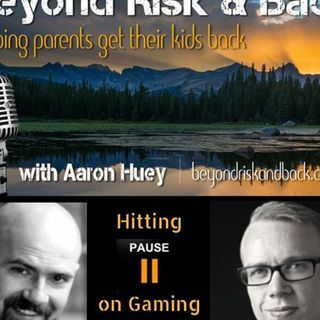 Join your host Aaron Huey with international expert Cam Adair as they discuss addiction in the gaming world. Cam Adair is a Canadian-born speaker, YouTuber and pioneer on video game addiction. He’s the founder of Game Quitters, the world’s largest support community for video game addiction, with members in over 70 countries. A talented hockey player, Cam’s life took a dramatic turn at the age of 13 when he began to suffer from intense bullying, leading Cam to drop out of high school. He never ... Más informaciones graduated and never went to college, spending the next year depressed, living in his parents basement playing video games up to 16 hours a day, until the age of 19 when he made a commitment to change. To learn more about Cam visit his website at www.camerondare.com. To learn more about Aaron visit www.firemountainprograms.com.